Matthew Shepard expressions of sympathy at 18th and Castro. 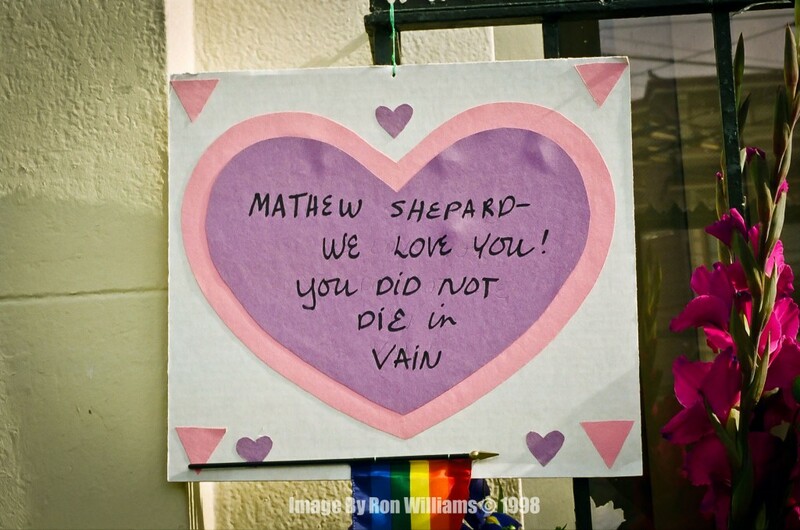 Matthew Shepard was brutally attacked on Oct 6, 1998 and he died on Oct 12, 1998 from the deadly injuries inflicted upon him. 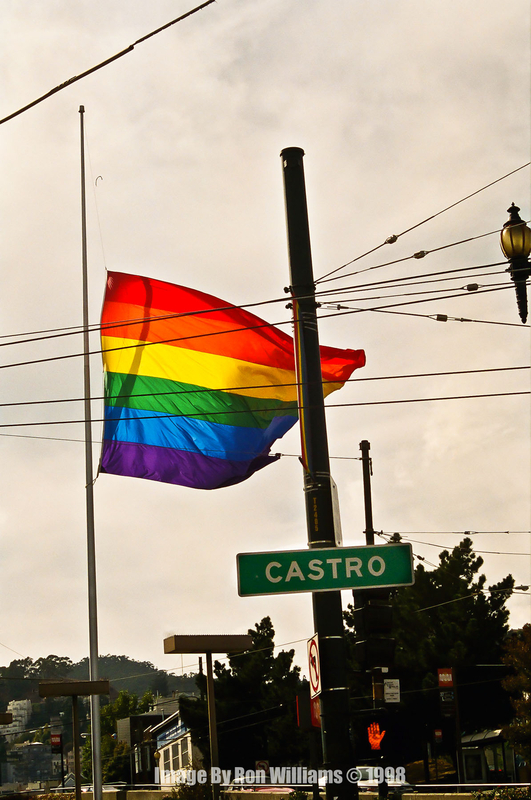 The Castro was in a state of shock, there was a street protest, a candlelight vigil and community expressions of sympathy and outrage on the corner of 18th and Castro. These photos reflect the hurt everyone felt by this hateful act.